From sports events to corporate hospitality, we make your special event one to remember. If you are looking for something out of the ordinary, AOS can offer you several options that will meet your particular needs. 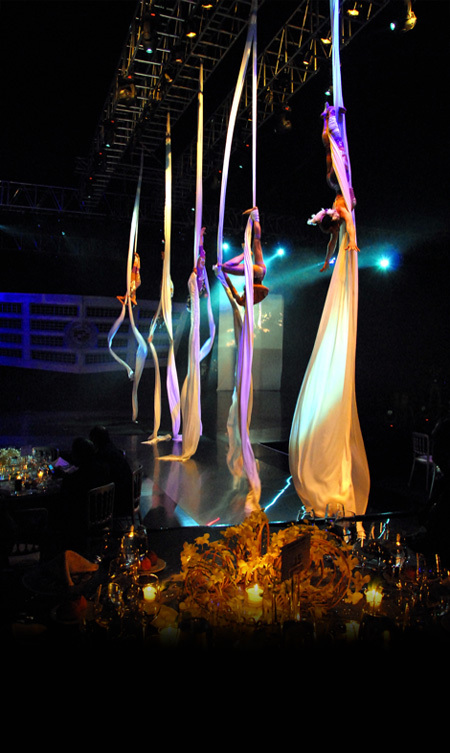 A successful event can only be created through the right combination of venue, theme, catering and entertainment. We specialize in providing high quality participative corporate entertainment, themed evenings, team building events and incentives. Corporate hospitality presents an excellent opportunity to show your key clients, colleagues and staff alike how much you value their business. We strive to conceive the right atmosphere while implementing a total program, unique in style and content, with the objective to create a successful and memorable event. Many companies have benefited from our creative approach to staging high profile events and product launches in an increasingly competitive business and media marketplace. Whether it is a small and intimate presentation, or a flamboyant and spectacular show, AOS makes it a point to effectively give you, the exact event that you need.